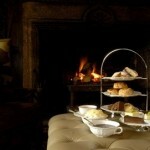 Afternoon tea at Lewtrenchard Manor offers the perfect escape for those seeking a little luxury and relaxation. Concealed in the Dartmoor countryside, behind swathes of ivy, lies this idyllic hideaway. 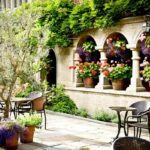 In an unspoiled valley, on the verge of the rugged Dartmoor landscape, the restaurant at Lewtrenchard Manor serves traditional British cuisine in a fine dining setting. 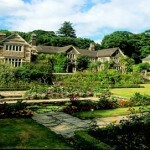 The family-run, Jacobean manor house charms with its flamboyant style and picturesque gardens. 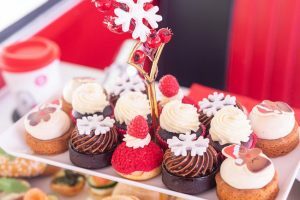 From the Ladies’ Afternoon Tea menu expect to delve into a delicious slice of cake, crumbly, buttery scones, and your choice of tea or coffee. Teas range from Earl Grey to Camomile, Peppermint to Lemon and Ginger. An eclectic dining experience is a certainty at the manor. Fancy something from the adventurous tasting menu? How about locally sourced, seasonal produce from the main menu? The chef will tease you with delicious Lemongrass Cured salmon and Devon crab with pickled ginger and tangy wasabi. 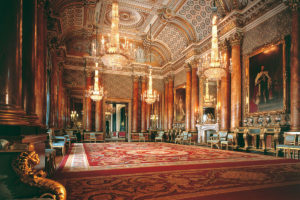 The manor derives most of its style from a time when international trade and intricate design techniques were flourishing. These trends manifest themselves in the manor’s detailed plasterwork, stained glass windows and plethora of antiques and artwork. 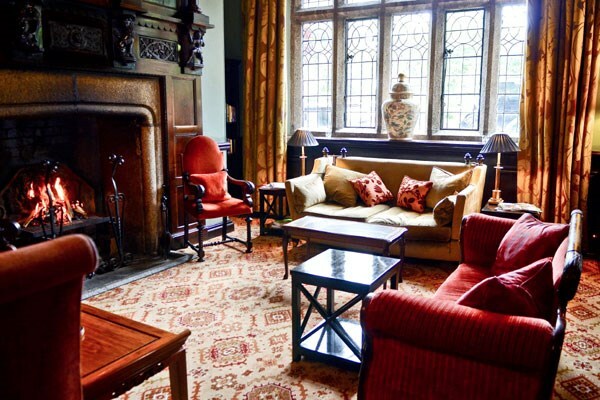 Dating back to the 17th Century the Jacobean manor is steeped in intrigue. It is riddled with oddities, with silver coins found in the walls and under the floor boards, Elizabethan priest holes and the previous owners are depicted in ornate portraits throughout the house. In the gardens you can imagine genteel characters from a romantic novel picnicking in the sun. Wander the manicured lawns and intricate parterre while ducking under delicate boughs laden with blossom. Where better to relax and escape from it all than in such a haven of tranquility. The gardens merge seamlessly into unfolding parkland and eventually to Dartmoor National Park. At nearby Lydford Gorge descend into the Devil’s Cauldron, cross the Carpets of Wild Garlic and marvel at the 100ft White Lady Waterfall. There are a whole host of activities to suit your needs. 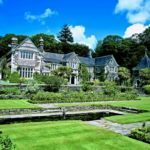 Go horse riding through Dartmoor, even fly birds of prey with the introduction to falconry or perhaps uncover the secrets of the manor with the history tour. Later on savour the ‘Flavours of the Wine World’ at a special wine tasting banquet or learn something new from the cookery demonstrations. Need a break? Alleviate your stresses and strains with a luxury, private aromatherapy massage. 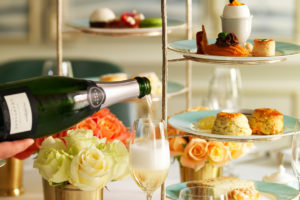 This beautiful afternoon tea experience is available from our partners at Buyagift at £58 for Two. Available to buy as a gift voucher, your voucher is valid for up to 10 months – perfect as a present or for somebody celebrating a special birthday or event. 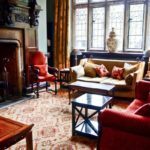 Afternoon tea at Lewtrenchard Manor, Devon: The luxury countryside retreat that tempts guests seeking to unwind, with rich character and inviting charm. 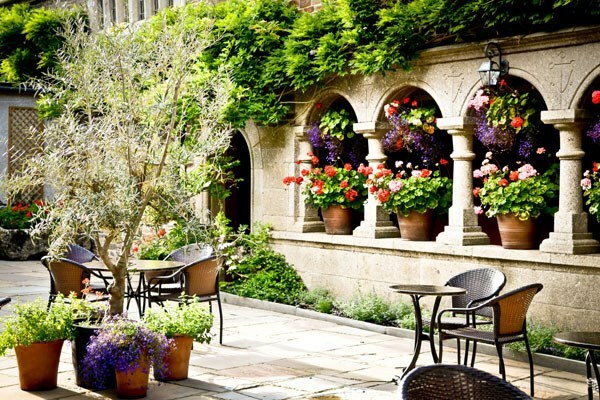 If you’re visiting the South West of England, be sure to check out our other afternoon tea venues in this beautiful part of England.